Shop ride on bulldozers, trucks & more. 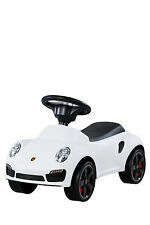 eBay's #1 Range Of Kids Ride-On Car! Save up to 60%! Trending at AU $177.57eBay determines this price through a machine-learned model of the product's sale prices within the last 90 days. Save Up to 70%! EN71 approved! Adult Override Remote! Push Button Start, Car Sounds and Light-up Headlights. Simple Operation✔Safe Speed✔Innovatoive Horn✔EN71 Std. 4 Powerful Motors, Independent Swing, 60kgs Load, New!! 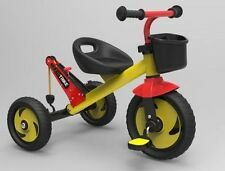 Balance Bike, Australian Designed, 12" pump up tyres! Kid's Ride On Wiggle Scooter No gears, or pedals, Twist, Wiggle for endless fun! Once children get on their feet, they're ready to take off, and ride-on toys give your kids the freedom of movement and sense of independence they need, not to mention that they're also loads of fun. These toys are versatile and come in several distinct types, colours and designs based on the child's age as well as interest, and there are toys for indoor as well as outdoor use. Though they might not be ready to hop behind a driver's seat just yet, a tricycle is an excellent place to start. 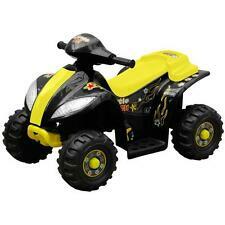 When it comes to ride-on toys, there are a variety of types from which to select. These include small cars, tricycles, scooters and toy motorcycles. Small children may enjoy taking a ride on an old-fashioned rocking horse, while others may prefer getting behind the wheel of a toy ride-on tractor. Other options include a quad bike, a balance bike and a wagon in which you can pull small children. Toys vary by size, features and details, as some cars may include added embellishments, like working lights. In addition, scooters are available for children to ride on or simply pedal with their feet. Select a ride-on toy depending on how it's powered. Some options move solely through the use of a child's feet operating the pedals, pushing or kicking the toy. Another option is to select an electric toy that's battery-powered, making it easy for kids to climb in and enjoy the ride. 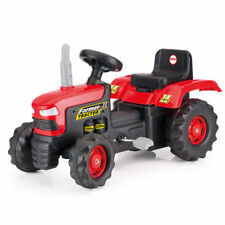 Electric toys include cars, motorcycles, quad bikes and some scooters, while manually-operated toys include scooters, wagons, rocking chairs and pedal cars and tricycles. You can choose a children's ride-on toy by the brand. Many high-quality manufacturers create an array of ride-on toys, including tractors crafted by John Deere, ride-ons for small kids made by Little Tikes and wagons crafted by Radio Flyer. 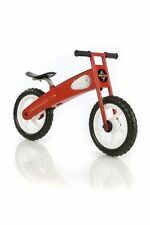 Other brands to consider include Hasbro, Hot Wheels, VTech, Huffy and Eurotrike. Brands vary by features as well as by price, so consider your budget, your child's age and the design of the toy as you browse brands. It's always wise to check to ensure that you're purchasing a toy in the right age range to allow your child to fully enjoy the experience. There are ride-ons for kids as young as six months old, and once a child is of walking age (which is generally around 12 months), there are even more options for pedal-operated ride-ons, such as a scooter or tricycle. Some toys accommodate a wider age range or can be adjusted as kids grow, such as a bicycle, tricycle or scooter.